JOHNSON CITY, TN - Two members of the 2018 Johnson City Cardinals have been named to the 2018 Appalachian League All Start Team. 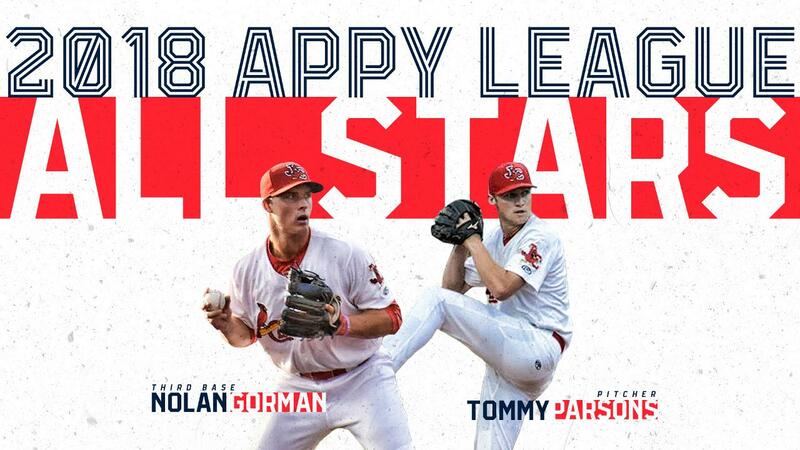 Third baseman Nolan Gorman and RHP Tommy Parsons have been named to the All Star Team for their respective positions. Nolan Gorman was picked 19th overall in the first round by the St. Louis Cardinals this year out of Sandra Day O'Connor High School in Glendale, Arizona. Gorman burst onto the scene, hitting a homerun in his first game as a professional baseball player on June 19th against Bluefield. Only a couple of months removed from high school baseball, Gorman showed why he was the first pick for the Cardinals. He played in 38 games with Johnson City, hit .350/.443/.664, 10 doubles, one triple, and 11 homeruns. Gorman was named Appalachian League Player of the Week for July 30th - August 5th. In five games, Gorman hit .522, going 12-for-23 with three doubles, three homeruns, and eight RBIs. Tommy Parsons was signed as a nondrafted free agent this year by the St. Louis Cardinals out of Adrian College, a DIII school in Michigan. 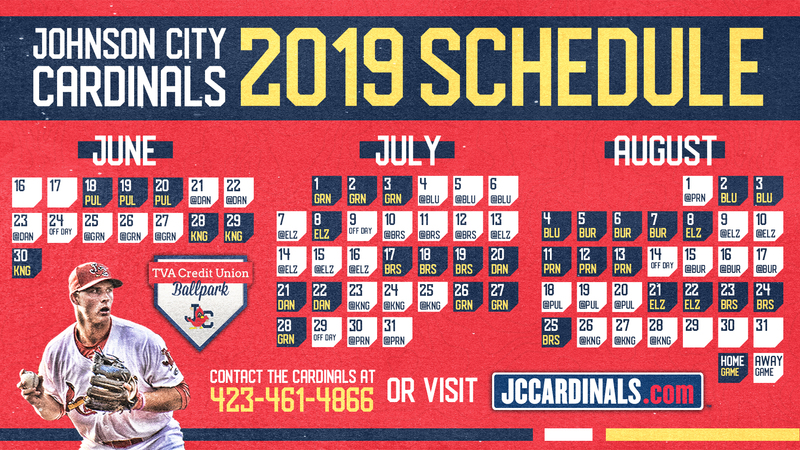 Parsons started the season in the bullpen, however he was moved to the starting rotation in the middle of the season and pitched himself to the top of several pitching categories to lead the Johnson City Cardinals. He leads the Johnson City Cardinals in wins (5), ERA (3.24) among starters, shutouts (1), and WHIP (1.22) among starters. The Cardinals have thrown two complete games this season, Parsons has one and it was a shutout.